A soft texture grip makes it fit well in the hand while its circular, compact shape and handy strap allow for easy portability. Water-Splash Resistant (IPX4 rating)* protection keeps out sprays and droplets. The perfect accompaniment to your life on the move. 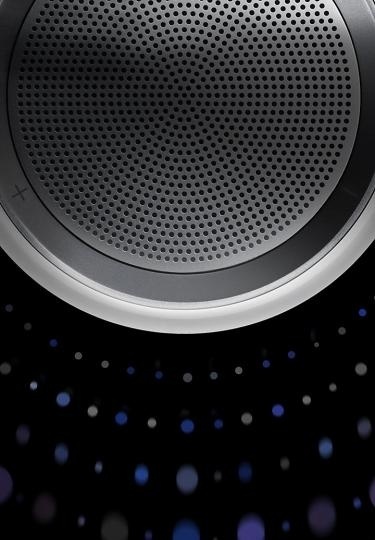 It delivers significant sound and can be used as a speakerphone to louden your conversation for a more engaging experience. 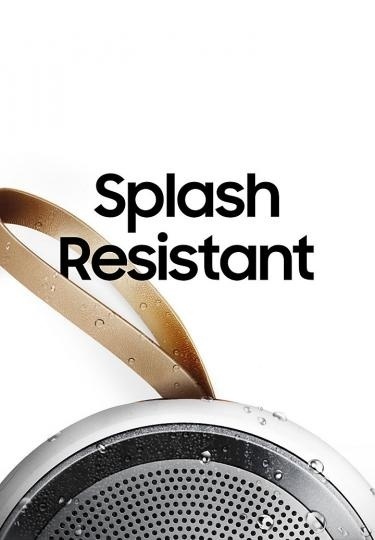 *Water-Splash Resistant (IPX4 rating) means that the device is protected against harmful ingress of water falling as a spray for up to 10 minutes, under certain defined test conditions. According to accredited test results; individual results may vary. Note: IPX4 rating does not mean that the device is waterproof or water resistant. Do not spray or soak the device. Exposure to excessive moisture can cause severe malfunction.